Hearthstone became an unexpected Twitch sensation upon its beta launch in what feels like 1937. It transpires that watching somebody else think about playing a card for 30 seconds before deciding against it can be as fun as doing it yourself – and so players have clamoured for an in-game Hearthstone spectator mode ever since. 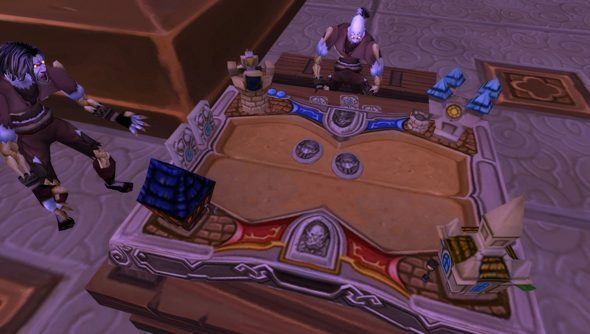 It’s now towards the top-end of Blizzard’s ‘to implement’ list, and in “active development”. Hearthstone’s official spectator mode will enable players to come online, see a friend in-match, and decide to watch them play. Responsibility for throwing them off their game will be entirely the viewer’s own. That’s all good. Just as long as Blizzard don’t develop Hearthstone allchat. While Woo wouldn’t offer an ETA, he did say the mode is “coming along” very nicely. Are you managing to do without for the time being? Perhaps Curse of Naxxramas’ Construct Quarter can help tide you over.